What are the letters that you need to write? What are the words that you are ready to shed? 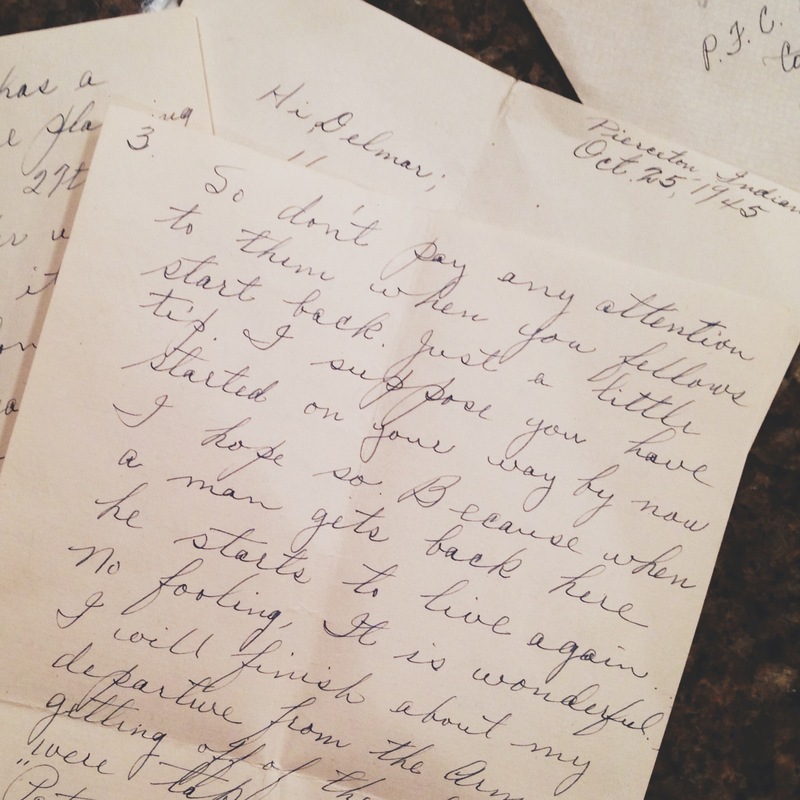 He wrote a letter in October 1945. Just a few days after he returned from the War. Finally home to his “two babies,” my Grandma and aunt. This was a letter to his best buddy still overseas. A six page letter found in an attic in Ohio long after both had passed on. A letter tucked away and saved. My Grandpa was a mechanic. A Methodist. A Hoosier. A father and husband. He was not a letter writer. And I think that’s the magic in these six pages. After all the horrors of war and the agony of being abroad, after all the unforgettable stories that passed between them, this is a letter about living. It was the letter that needed to be written. What are the letters that you need to write? What are the words that you are ready to shed? Let’s free the words. What it is: This is a free course by email, a love missile from me to you. Sign up and I’ll send you a letter writing prompt each day of the course. Five prompts. Five letters. Why Outlaw Letters? Because these will be no ordinary letters. They will be the letters you didn’t know you still carry, the ones that want to escape. Wild and reckless and surly drunk on freedom. You get to write as much or as little as you want. You can keep these letters tucked inside your journal, scribbled on a napkin in your satchel, or posted on your blog. You can keep these letters close to your heart–or mailed across the country to the person who needs to read them most. Who this is for: This free course is for you if you have words that want to be written. Words you are ready to lay down. Stories that need to spill. This course is for you if you are curious about the letters inside of you. 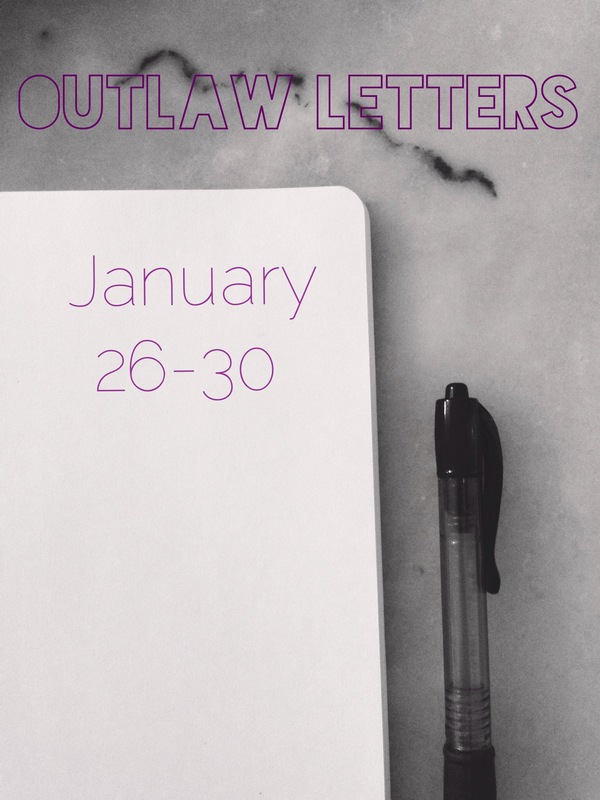 You will receive your first email on January 25th, on the eve of Outlaw Letters! Posted on January 8, 2015 January 8, 2015 by tspletcher	This entry was posted in Uncategorized. Bookmark the permalink.